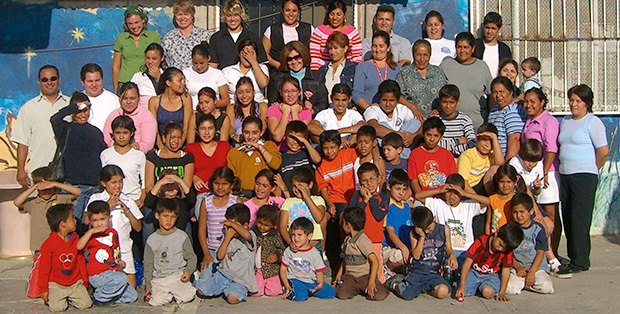 Casa Hogar de los Niños began as a vision of Tony as he began caring for single mothers and their children out of an old bus parked on a vacant lot. Since its start and the purchase of that vacant lot, Tony and his wife Pilar have enabled the ministry to grow and be an important part of the community, overseeing the education of many children from elementary school to college degrees. It currently houses 25-30 children and continues to reach out to meet the needs around it. The facility has been blessed with the recent completion of new building, which will allows it to house up to 90 children. 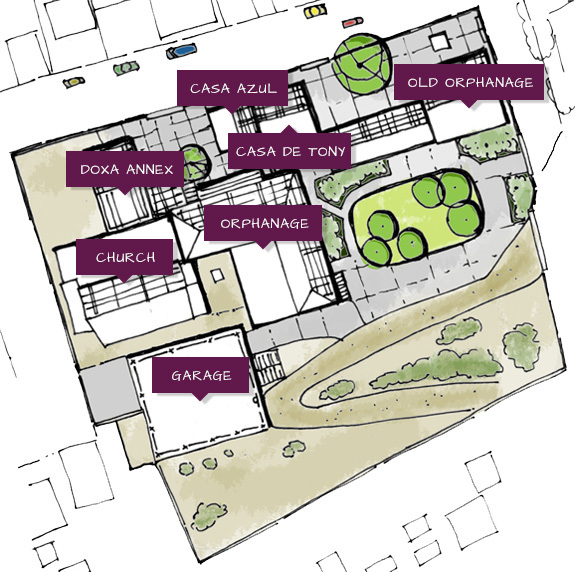 The new design has space for more children, while also creating room to hold classes on site to help tutor the children of the orphanage and the surrounding areas. The property will remain connected to the Annex property encouraging the continued growth of the ministries of the orphanage. Please visit (orphanage website) for more information and opportunities to serve with or support its vision. With the addition of the new Orphanage Building the old building has been converted into a group residence. This building is managed by the orphanage and is where your group will be housed, while it builds houses in the community. Even though this space feels like its own refuge it is jointly connected with the orphanage and respect should be shown for the property, the orphanage, and the culture at all times. The Orphanage representative will act as your liaison and will ensure that your needs are accommodated as best as possible and let you know what spaces are available to your group. The Annex is the name given to the property where your materials will be stored. The property has evolved through its years and continues to do so as we have now converted sleeping quarters to classroom space and are in the process of making plans to demolish the old clinic building.